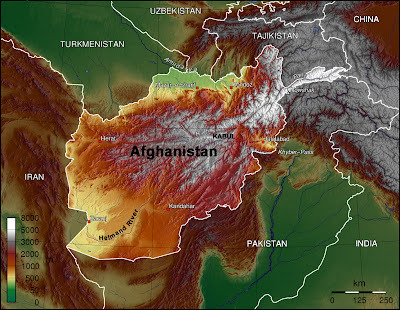 Afghanistan in 2012 has a population of about 30 million (highest estimates) spread over 34 provinces, with considerable variability in standard of living among them. The country's area and population density are comparable to those of Texas. 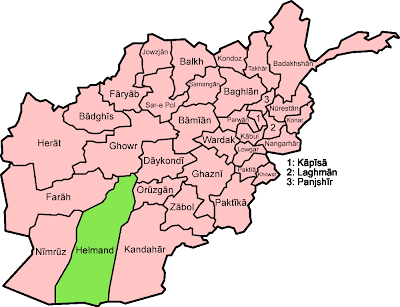 GVS operates in Helmand which in some ways is almost a country apart from other provinces, despite having the sizeable capital city of Lashkar Gah with a population of over 200,000. A summary of 39 provincial socio-economic indicators was published in June 2011 by the Australian Government (AusAID) and the World Bank (Economic Policy and Poverty Sector) based on information collected by the Ministry of Economy and the World Bank for the National Risk and Vulnerability Assessment 2007/08. Population data in the publication was based on the most recent statistics from the Government of Afghanistan (2010-2011). A look at the statistics for Helmand reveals an interesting dichotomy of well being. Afghanistan's largest province is ranked #2 in food and non-food consumption and lowest in poverty (likely because of home grown food and opium production). Yet its school enrollment (ranked #33 at 4%) and health care indicators (full immunization rate # 32 at 0.6%, no immunization rate #33 at 43.9%, access to skilled antenatal care # 31 at 1.6%, and households with safe drinking water #34 at 3.3%) are abysmal. Although Helmand has the best access to drivable roads (ranked #1), it has very poor access to electricity (ranked #31 with only 11.8% of households on grid). Construction of dams on the Helmand River in the 1950s for irrigation projects and electricity may explain the access to roads. Thirty years of war destroyed much of the electric grid and the focus of the current conflict in Helmand has prevented its reconstruction. Unfortunately the irrigation projects intended for vegetables have been diverted to poppy growing for opium production. Every province is unique in its cluster of socio-economic needs. It is clear that what Helmand Province needs is schools, potable water, sanitation, and health care. In Shin Kalay we provided the first two of these needs, with a primary school and a very productive well, as well as some health care instruction. We have added another level of instruction with the Advanced Education Center in Lashkar. Hopefully, some of the students going on to higher education will end up in the health care field and many will return as teachers.